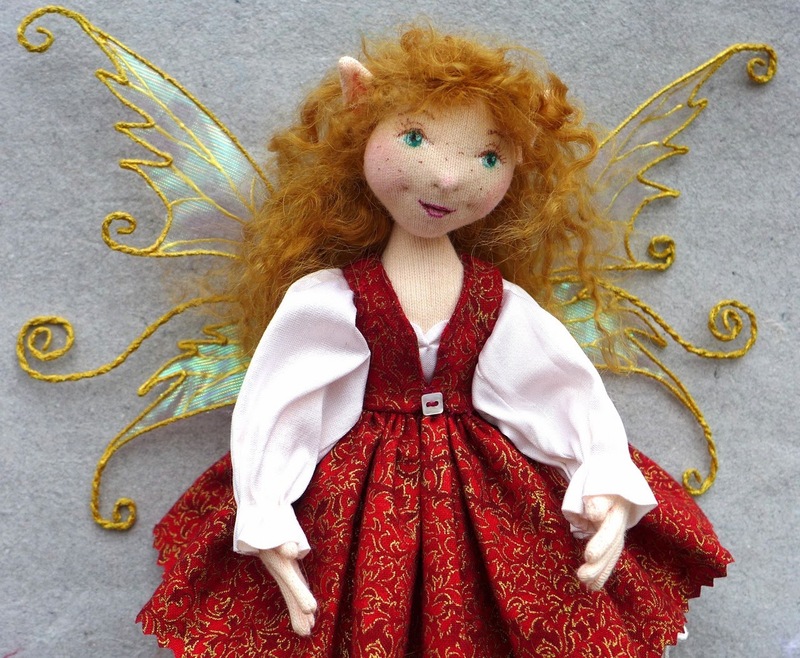 The Fairies Nest - OOAK Cloth Dolls & Fiber Fantasies: And Here They Are! 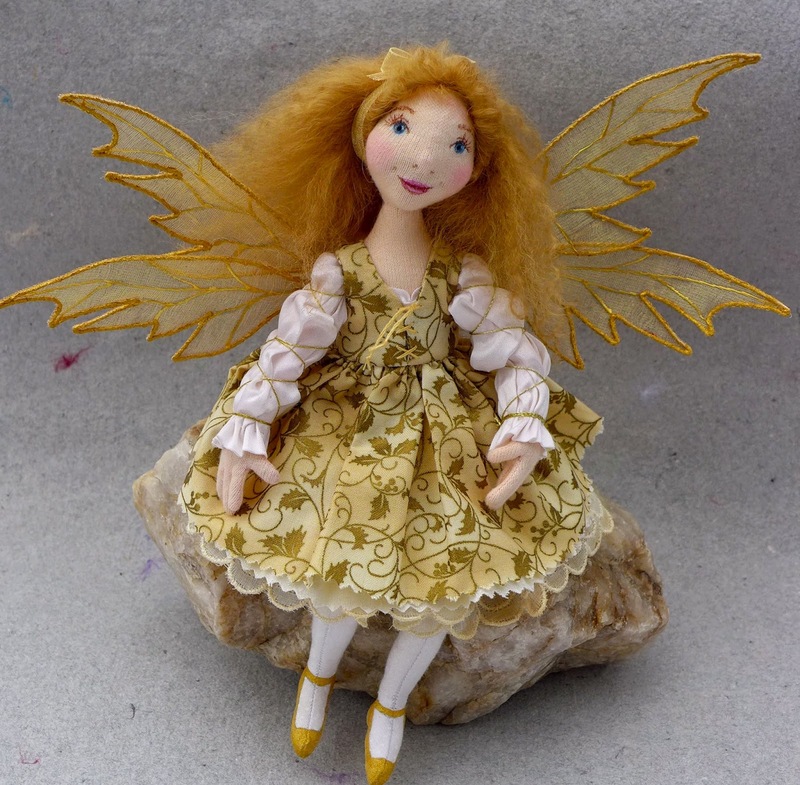 Once upon a time, eons ago, I started making little cloth dolls. I liked what I made but they never quite matched the idea of dolls that I had in my head. 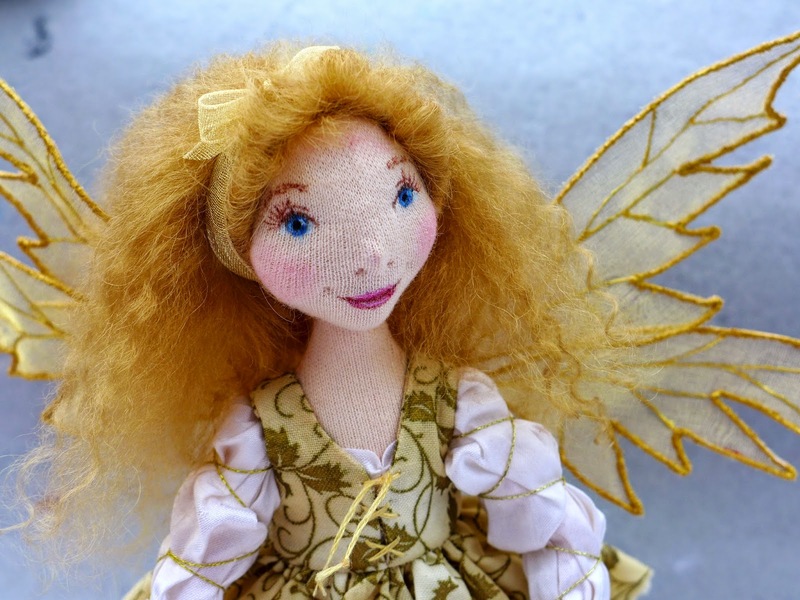 As the years went by and I learned new techniques and developed some of my own, the dolls I made came closer and closer to those ones I could see in my mind, but were never quite there...until now. These are the dolls I've always wanted to make. 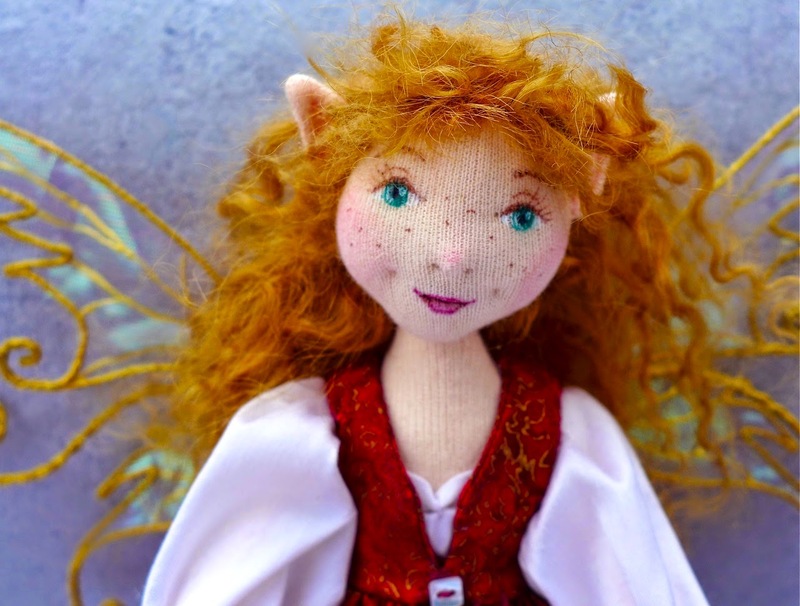 Small, about 8.5 inches tall, with detailed sculpted faces, posable limbs and fingers, and yet still made from cloth and natural fibers, no clay involved at all. It has been such a wonderful feeling to finally achieve this and I already have all kinds of ideas for the places I can take my new dolls next year. 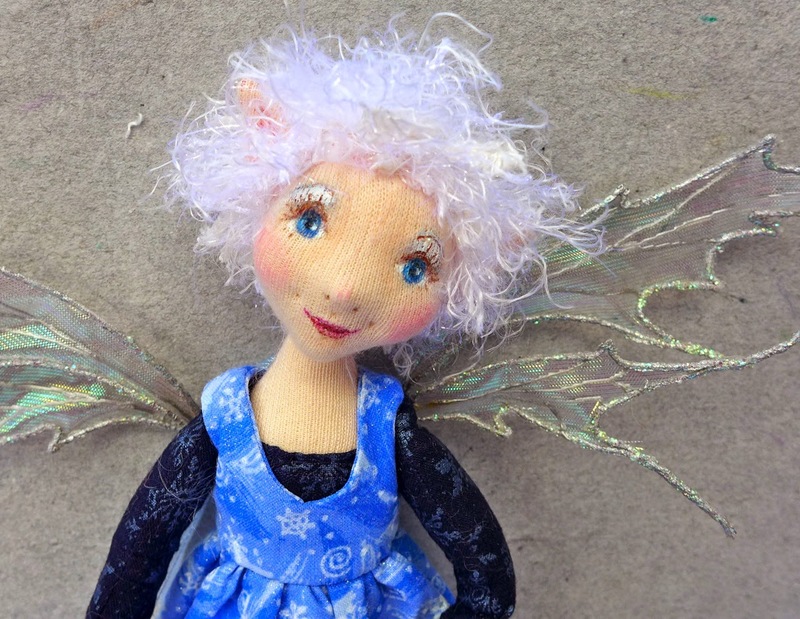 So let me show you the first of my new designs..
Next a little Frost Fairy...very sparkly! 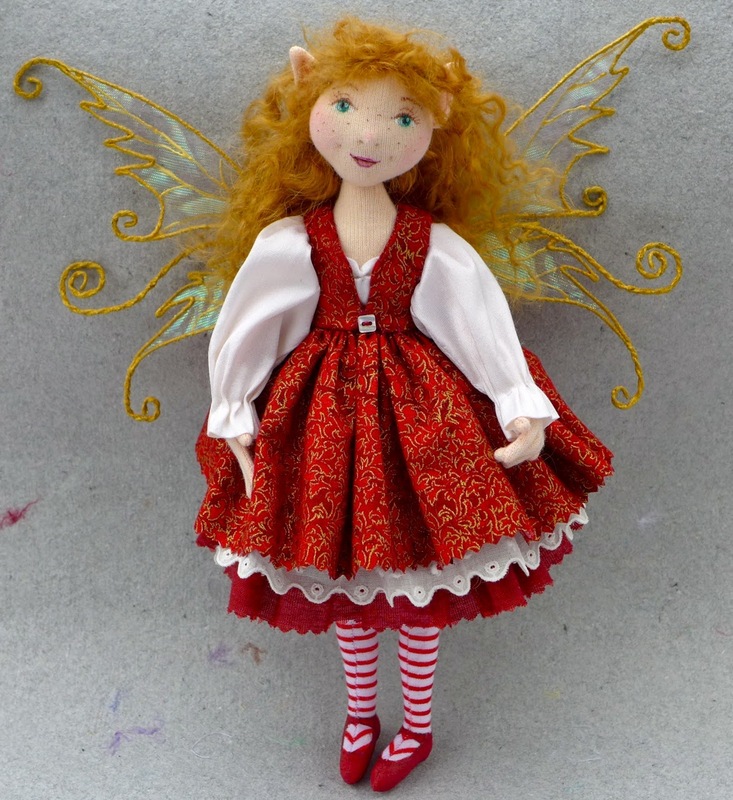 And lastly, Noelle, a fairy who obviously loves the holidays but is happy any time of the year in her pretty red dress. I think she's my favorite, I just love her freckles! All three are one of a kind dolls because each sculpted face comes out completely different! And they all have lace trimmed underdrawers because folks always look up a doll's dress first thing...what is that about!? So what do you think? Have you ever had a moment like that, where years of experimenting finally come together? I'd love to hear about it! And if you're interested you can find all three of these ladies in my shop. I know exactly what you mean! See the header at the top of my blog and you'll know I understand. The ideas just sit in there brewing until they can be realized. I've followed your work for a long while, love your dolls. 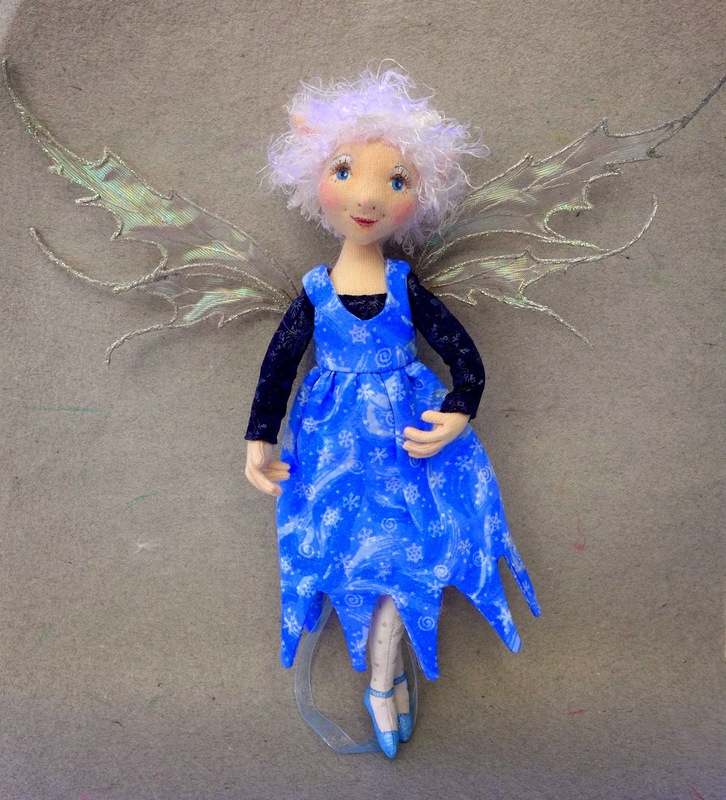 The frost fairy really speaks to me. BTW, I would look at the wings first, beautiful work! Thanks Kimberly! You have some lovely needlework on your blog!